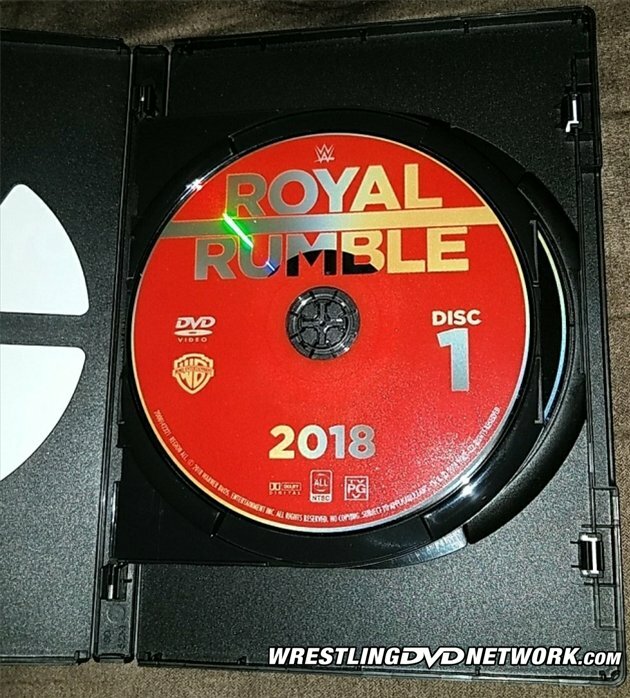 On the road to WrestleMania our collections will get MORE RUMBLE THAN EVER as exactly one week from today WWE will release the new, double-disc Royal Rumble 2018 DVD! But why wait around ’til then? WrestlingDVDNetwork.com is back with an exclusive hands-on before it officially releases anywhere and confirmation of a freebie found inside. 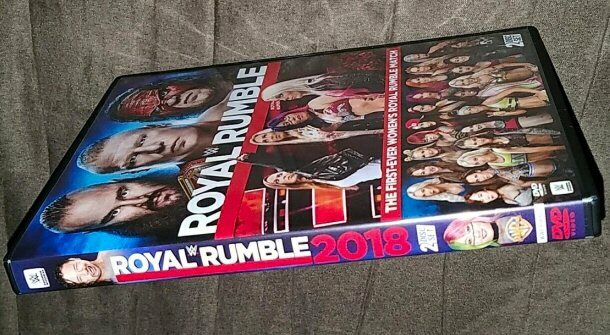 Get your hands on the Royal Rumble 2018 DVD pictured by clicking here to Amazon.com. 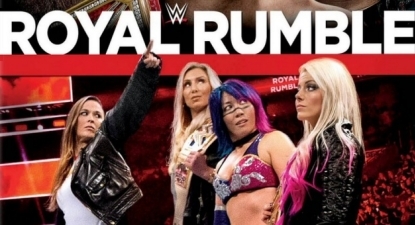 The 4-hour and 9-minute pay-per-view event broadcast this time last month from Philadelphia and was headlined by the first-ever women’s Royal Rumble Match and the WWE debut of Ronda Rousey. That was of course joined by the traditional men’s Royal Rumble Match, a Universal Championship Triple Threat Match, a WWE Championship 2-on-1 Handicap Match, and more! 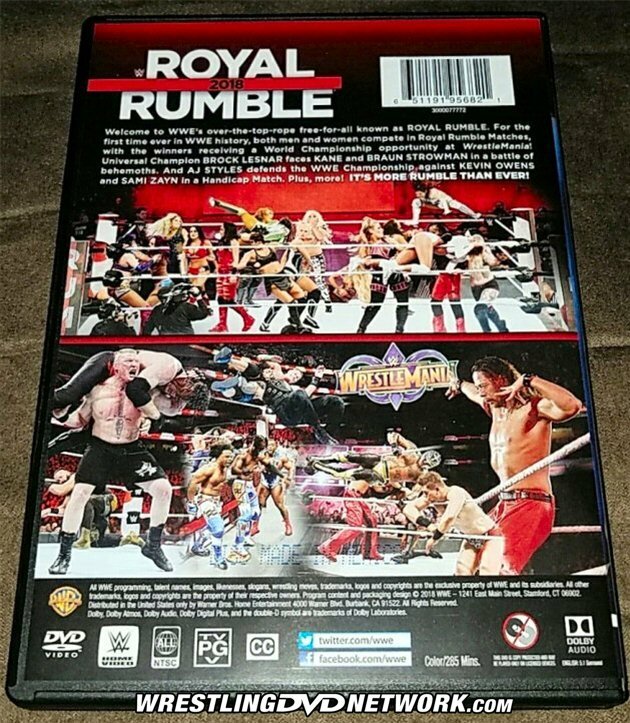 Royal Rumble 2018 will be presented as a 2-disc DVD set in order to fit everything in; its content listing will include the 6 main card matches, Home Video extras that cover the Kickoff Show matches, while inside the physical packaging will be a free Topps trading card of John Cena. This will be the first WWE DVD that prominently features the logo of Warner Bros., the domestic Home Video distributor of WWE content on its packaging, as reported earlier this month. The logo can be seen on the back cover, discs and spine. Also new is a symbol on the back of the box that appears to suggest this release is region free so in theory could be playable worldwide. Let’s take a closer look! Thanks goes out to WDN reader “JayJayRock206” for sharing the pics. 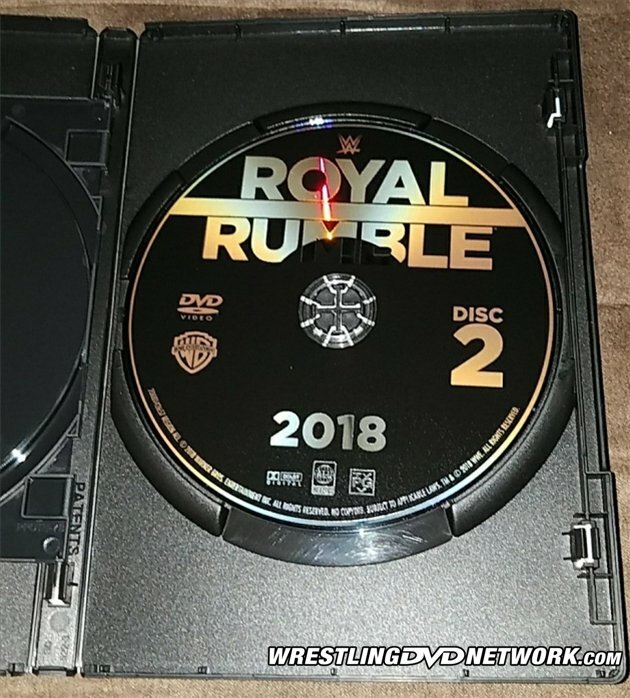 Extras will be included on the second disc of the Royal Rumble DVD, as we’ve broken down below. The UK exclusive Blu-ray edition will also feature these same special features. – United States: Next Tuesday! 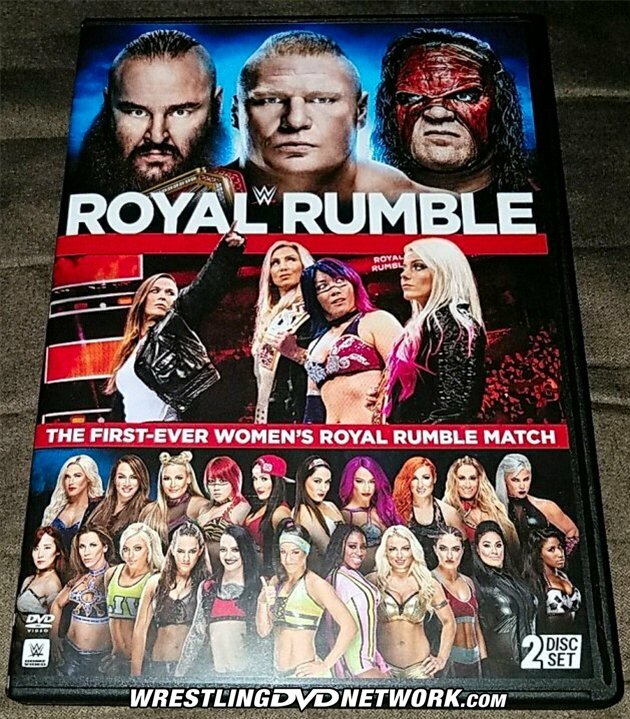 Pre-order the Royal Rumble DVD now here on Amazon.com. My TV here in the UK still distorts the picture of Region 0 NTSC DVDs a tad although it does play them, so I’ll stick to the PAL versions. Since blu-rays are no longer being produced in North America, except Mania, why wouldn’t Freemantle start making their blu-rays region free? This way people won’t have to buy a region free player and anyone can buy them and play them on any player. Plus it’s more income for Freemantle. i know this question has been asked but never got a answer. But is wwe gonna do a road to wrestlemaina walmart dvd sale this year ?? Warner releases, specifically Blu-rays are always region free. If Warner was in charge of WWE Blu-ray releases in the UK they 100% would have been region free like all their other titles. Its interesting that WWE DVDs are region free now as they were always region locked. Does this mean can order WWE DVD’s now from USA and UK, but can play them on region 4 DVD player? UK is still locked to region 2 (region B for Blu-ray) as Freemantle are the licensee. You still would need a region-free player. If your television can handle NTSC then yeah WWE DVDs from US should work worldwide. I think televisions sold outside North America can handle both NTSC and PAL, whereas in North America only NTSC works if playing PAL discs you get that weird framerate issue because they are in 50Hz instead and televisions can handle 60Hz in NA. I’m pre-ordering this at ‘www.walmart.com’ tomorrow night. Is there a Walmart exclusive this time, like the fat head for Survivor Series?